Headaches refer to a symptom of pain anywhere in the head or neck region. Headaches occur as a symptom of Migraines, Depression and other debilitating illnesses. 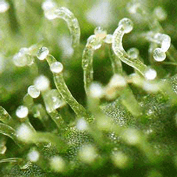 There have been various studies on the effect of cannabis on Headaches and its related illnesses. In 2010 at the 52nd Annual Meeting of the American Headache Society around 75% of patients reported cannabis’ effect as very efficient, beneficial or variable. Only 25% reported that cannabis did not help with their headaches. While in 2000, the Center for Medicinal Cannabis Research at the University of California, San Diego, examined the effectiveness of cannabis in treating migraine headaches and facial pain. In that study, rats given a cannabis-like drug exhibited reduced activity of nerve cells that transmit pain. Here at Seedsman, we offer a variety of strains that will assist people suffering from Headaches in alleviating their symptoms.